During the holiday season, our thoughts often turn to what we are thankful for, then, all too often on gift-giving. Gift-giving is a wonderful gesture of gratitude and love and is noteworthy when done in the right spirit. My children used to ride their bicycles around our old neighborhood when they were young and counted the number of Christmas trees tossed to the curb on Dec. 26! It’s as if people had had enough and were relieved that Christmas was over. In our fast-paced materialistic culture, even volunteer work and charitable activities can cause an increase in blood pressure. I don’t mean to paint a negative picture of the holiday season. What we need to do is slow down. When I suggest that we slow down, and embrace the holiday season in simple terms, the words often evaporate into thin air. Many people are not willing to do what it takes to slow their lives down or agree that it is a worthy goal. We must be careful about this frenetic pace that creeps into our lives. When we are speeding along the journey of life, we might forget to pay attention to the obvious, important treasures. The greatest gifts are not of the material kind. One of the greatest gifts you can give your family is the gift of a strong, solid marriage. Creating a strong, solid marriage is not hard to do, but it can take some effort, depending on your situation. If you’ve been listening to my weekly blogtalkradio show for the past year, you will have heard many ways about how to deepen your relationship in order to make it a happy, solid marriage. Happiness is available to everyone, right here and now. It is a decision and attitude. When I say “good” marriage, I mean one where partners are truly happy with each other. Marriages can be good – where the partners exemplify solid character traits, such as honor, trust, honesty, respect, and responsibility. Good marriages often involve parents who raise children with these values and we know this is important in a civilized society. But to go one step further, a good (or great) marriage is one where it is obvious that the partners are happy with their relationship. They enjoy each other’s company, they smile and laugh a lot, they are emotionally comfortable with each other, they make an effort to spend time with each other and with their family if they have children, and they share and instill responsible values in their offspring. There is mutual respect, acceptance, affection, and conversation that takes place freely and frequently. To have this in your relationship is a gift. Yes, it takes effort, but it is also a gift when the chemistry in the relationship seems to synchronize in major ways, for long periods of time or throughout the marriage. There is no acting or pretending this type of relationship. You can put on a phony smile, project something you are not feeling, or present a certain image, but sooner or later, the reality shines through to those who spend a lot of time with you or live with you. Children can detect a lot, more than parents realize. Children often know the truth. The energy of a happy marriage is evident. Why is a good or happy marriage so important? Whether or not a married couple has children, couples in happy marriages are usually more emotionally and physically healthy. Research also points to greater financial stability (not necessarily wealth, but stability) in strong, nuclear families. When people are willing to sacrifice for another or when their life directly impacts another person, there is an increase in purpose for living, an additional sense of responsibility and meaning. This often translates to people being more responsible, and less of a burden in the workplace and on the healthcare system. Couples who are also parents know that the family is the first and primary learning place for their children. The most prominent example of marriage that children observe is the one they see their parents living out. This will shape and initially define a child’s view of marriage and could have a major effect on the child’s experience of marriage throughout his or her entire lifetime! Research on attachment theory supports this viewpoint. Not only are good marriages good for society, but a happy household has an effect on the emotional development of children. Happy, cheerful, genuine parents who are instilling solid values and virtues is a good starting point for responsible, secure, mature adults. It is important to build and maintain a strong marriage, not only for your own happiness, but that of your children, your children’s future and society in general. I was touched by my recent conversation with Cindy Lynn (see Couple’s Corner) about her six year-old son’s sudden death in 2003. She said that after the death of a child, you can choose to express your feelings or you can choose numbness. She believes it is much healthier to acknowledge your feelings. This is also critical as you strive toward a deeper marital relationship. While some people might think that keeping heartfelt emotions and feelings to oneself is appropriate in many situations, marriage and family professionals say that in order for couples to have a deep relationship, it is imperative to express thoughts and feelings regularly and candidly. Don’t convince yourself that “I don’t want to burden my spouse” or “I feel foolish thinking about these things.” Reenergize Your Marriage in 21 Days (see resources below) has specific exercises for couples to share feelings and create a closer bond. 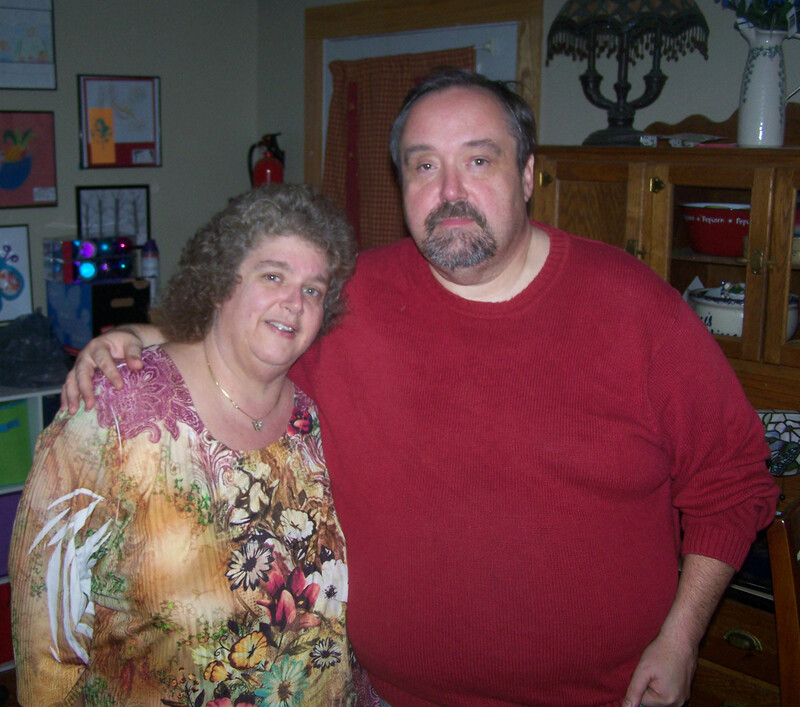 Meet Fred and Cindy Lynn. Married on May 7, 1994, Cindy says, “We are not the norm. We try to spend as much time together as possible, from going grocery shopping, to leisurely drives on the weekend to grabbing a cup of coffee in the evening. We are a package. He stimulates my thinking are I consider him my other half.” When their son Jensen died unexpectedly at the age of six in 2003, their whole world changed. During the grieving process and to this day, Cindy and Fred talk openly with their other children - Emily (13) Alden (11) and Cindy’s son Nick (23). As a result, their family is a strong unit, protective of each other. Cindy and Fred believe that their bond is stronger than ever because they’ve lived through their worst nightmare. They were not able to have any sense of control as they lived through the tragedy of Jensen’s death, but realized they could take control afterwards. Their son’s death resulted in a strong marriage becoming an even stronger one: touch became more important as opposed to words; they clung to each other more intensely; found new ways of communicating and most importantly, they discovered that you must live life in the moment and cannot really plan for anything grandiose. Additional information: Cindy and Fred are support group leaders of a bereavement group in their hometown: www.bpusacromwellct.org. After 13 months of hosting “Your Marriage Matters” on blogtalkradio, I’ve decided to take a break and focus my attention on writing. Beginning in January, I plan on devoting 3-4 hours a day to writing and researching for the next year. My topics of interest will be dating, estrangement in marriage and relationships in general. I am ready to immerse myself in the dating topic. When I started this show in October 2010, I set a goal of providing one 30-minute show per week for a year. It was not uncommon for me to invest 10 hours per week to bring my listeners a 30-minute program. I am pleased to report that I’ve surpassed that goal and have done 57 shows! My intent was to offer programs on topics that encompass all stages of marriage, to delve into some of the difficult topics many of us struggle with and to offer positive encouragement for those who want to make their marriage the absolutely best it can be. I am grateful for all of my guests, who contributed to this show being content-rich, encouraging, and supportive of building and maintaining strong marriages. I’ve had 38 guests, 20 of whom are authors, with 8 appearing more than once. My guests included some of the best in the Marriage and Family profession, each with unique perspectives. We were informed and inspired. Not only did we have “experts,” guests and married couples shared their stories, hardships and successes. The shows are archived. If you’d like to scroll through the topics and guest list to see which program might interest you, you can listen to any show at your convenience. Please visit www.blogtalkradio.com/marriagecoachlynn. Have you clicked “like” on my Facebook Page yet? (Marriage Coach Lynn). I recently posted a note titled “The Gift of Mealtime Conversation.” I invite you to take a look at it. www.blogtalkradio.com/marriagecoachlynn -Weekly internet radio program that encourages and supports lifelong, happy marriage. Nurture your marriage and invest in resources, conferences, weekend retreats, therapy or coaching as a way to deepen your understanding of yourself and your relationship. Just as professional development to one’s career, your marriage is important. Please add “Reenergize Your Marriage in 21 Days” to your personal library. You won’t be disappointed!